Traditional Series A does not fit many companies. Two related trends in venture capital investing have been getting attention for the last few years. The first is the growth in angel investing, particularly after the crowd-funding provisions of the JOBS Act. The second is the “Series A crunch” where many companies that receive seed-stage funding are finding it difficult to raise Series A financing rounds because there are not as many investors focused on Series A. This is primarily because the top tier firms want investments that are more mature (beyond Series A) and require more capital than the traditional Series A. These VC’s can wait for companies to mature — there are more than enough seed-stage companies that gain traction for top tier VCs to pick among. My advice to seed companies is to realize that most of you are not candidates for a Series A round from traditional venture capitalists — and that is OK. The trick is to know what the traditional venture capitalists are looking for and objectively assess whether you fit their mold. 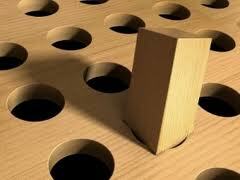 Most of you will NOT fit their mold, so the goal then is to find a different path to accomplish YOUR goals. The good news is that there are increasingly diverse sources of capital for companies that get beyond the seed stage, just as there are increasingly diverse sources of capital at the seed stage. There is no Series A crunch for companies that fit the top-tier VC mold. So, do you fit the mold? My advice is to not try too hard to fit the mold. It is easier and more gratifying to know who you and your company truly are and then find people who appreciate YOU rather than try and fit your company into someone else’s mold. Are you a Unicorn? (see post by Cowboy Ventures on November 2, 2013) Because of their model, VC’s want to swing for huge home runs. Can you credibly make the case that you will be part of the 0.07% of companies that will be worth more than $1 billion? Cowboy Ventures found that only 39, fewer than 50 out of 60,000 start-ups achieved this in a VC timeframe. If you cannot make that case credibly, it is best to pivot to find a different source of capital. Did you use to work at a Unicorn? You will need a strong introduction to be taken seriously. It still matters who you know. Can you grow amazingly quickly? Forget 30-40% annual growth. Can you grow at 20-30% per month and be worth billions in less than 10 years? I believe that an increasingly large number of successful companies will not fit the traditional venture capital mold. In today’s world, it is easier to start a company, raise some seed money, and get started. This is a good thing. The world will end up having many more innovations and a more robust economy from these thousands of companies in the middle. Many of the start-up companies will not make it, but their founders and employees will learn from the experience and go on to do interesting things. At the same time, we will be creating many companies that need to find alternative sources of capital — different from the traditional venture capital mold. 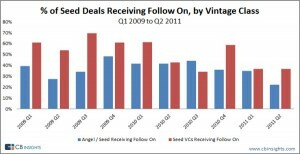 This data is old, but it shows the growing gap between seed stage companies and Series A companies. I have written several times about the importance of understanding your different options for capital raising. 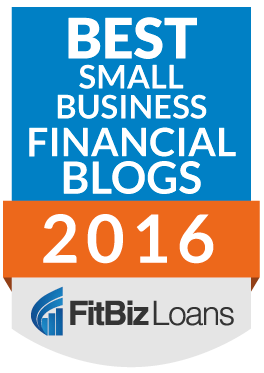 By far the best option in today’s world is to receive financing from your customers (here is a previous post about this). Many companies do this, and it is the optimal option available. It is usually less expensive than equity and you don’t have to give up any control. It is usually much more flexible than debt, and much easier to get. At the same time, as modern companies achieve revenue and growth, there are many more capital sources available from mezzanine lenders, from family offices, from search funds, from innovative small loan providers, from later rounds, and from angel investors. My investment fund, Greybull Stewardship, is also set-up to provide maximum flexibility to founders and management teams that do not want traditional venture capital.